What do you love most about yourself? I believe that I am truly one of one. I used to struggle with not fitting in and not being like others but with time and maturity I learned that my individuality was my gift and I should always use it to my advantage in all of my endeavors. What motivates you to do your very best? I have so many things that keep me motivated to be the best including: my parents who came to the U.S as immigrants 30+ years ago to ensure that they could give their children a better life full of opportunity, so I never want to disappoint them. My son Knixen also motivates me because I want him to have an even better life than the one I was blessed with. And my dream is another thing that motivates me. I have always wanted a life where I could express my art and entertain people and I am living that life. I always will because that is my calling, so that is my biggest motivator; the dream. What do you believe is your purpose in life? My purpose is to make others feel good through my art; to bring laughter and the feeling of confidence to men, women, and children around the world and to motivate others to follow their dreams, no matter how wild. Tell us about a time you failed, how did you overcome it? Failures are never fun to talk about but they are a learning experience so you still gain from them. I had a business partnership with a close friend and it just did not work. Our personalities somehow clashed and the partnership (and eventually the friendship) both dissolved. I felt so many emotions towards the situation because I honestly was being the same person I always was in the partnership and the friendship and the other person just had differences that we could not work through. I learned that I had to take responsibility for my part in everything and I also learned that one should be mindful that going in business with a friend is risky and often times it does not work out. In my case, money was never the issue, nor was it time or commitment; it was just two personalities that did not work well in business together. To date it is my biggest failure but I gained so much from it and it was made me a better friend and business woman, so I still came out of the situation with my head held high. How do you practice self-care? I am the poster child for “treating yourself.” The longest relationship one will ever have is with self, so taking care of you should always be a top priority. I try to exercise 3 days a week doing anything from cardio on the treadmill to soul cycle to working out with my bestie trainer. I also believe in regular facials and waxing. Once you start this it’s very hard to stop! And down time is huge for modern day go-getters! 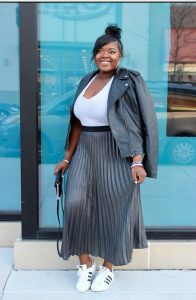 I take the time to do something I love whether its blogging, journaling, styling, reading a script, or just a girls shopping day with one of my friends, I find balance. It’s what keeps me glowing and not growing old. What does success look like for you? Being in control of all aspects of your life including your career and finances, your geographic location, your love life and your relationship with anyone that is of importance to you like friends and family. If you could give your younger self a word of advice, what would it be? I would tell my younger self to slow down, listen to my parents more, get in the gym because you’re not going to have that 20 year old body forever and it’s harder after 25, and SAVE YOUR MONEY! I didn’t have a mentor until I was 24 and I had already adopted so many bad habits. My mother is such an awesome example and role model, but when you are 18 heading off to college, the last person you want to listen to is your mom who you think wants to ruin your life every day, when she was just telling you what she knew from experience. Nonetheless, all of my experiences from my youth built my character and led me to the point of my life that I am at today. I wouldn’t change a thing. I have learned to be an optimist and look at everything as a learning experience. I rather win or learn, I don’t lose. I am always growing, getting better and looking for ways to be better. Kristal currently resides in the greater Washington, D.C. area where she is a multimedia executive by day, mother of 1 and blogger by night and a fashionable socialite by the weekend. Her rollercoaster life is filled with everything from the latest must have item, to playdates and PTA meetings to photoshoots for her blog and collaborations. And as a full-time woman in corporate America, she proves that with the right tools, you really can do it all. Kristals dream is to become a respected woman of television doing all things TV and media including acting, hosting, production behind the scenes. Her personality and drive are sure to get her to where she wants to be as an entertainer in the near future. 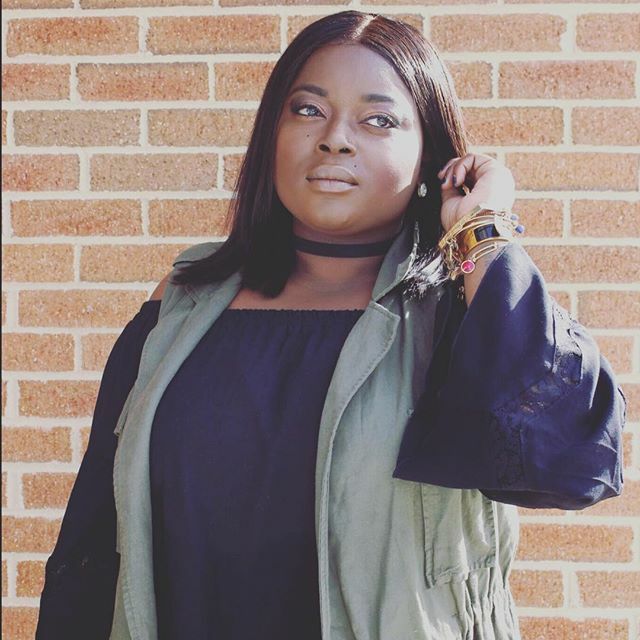 Having a deep passion for fashion and styling, Kristal creates content of her personal style and flare which have been featured on Fashion Bomb Daily, DC fashion week and countless fashion and lifestyle outlets that complement her individuality. Kristal’s style is fresh, chic, fun, and forward focused. She loves to try new looks, while staying true to the classics. 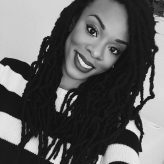 Her polished looks can be seen on her Instagram (@kristalwitha_k) as well as on her blog kristalwithak-tumblr.com.